Loughborough is a Two Vineyards University! I had a wonderful time over English Wine Week. Started with Natterjacks Bar doing “Best of Leicester” event, and featuring my wines along with Burleigh Gin and Charnwood Ales. I spent ages chatting to their customers as I handed out samples. Next was Tuesday evening at Scotts Wine Bar in Quorn, comprising a full wine tasting of four of my wines and four from Walton Brook. I did all the talking (comes naturally) while Steve Scott did the pouring. 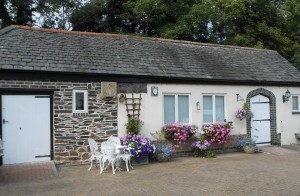 Great customers who were really interested in local produce and know their wine. 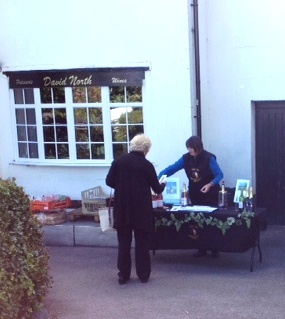 Finally, Saturday was spent outside North’s deli in Rothley, to launch “Spirit of Freedom” I gave out lots and lots of samples and vouchers which people took inside the shop to get their wine. So far I have encountered very positive feedback on the wines and everyone seems very genuine in hoping my vineyard enterprise thrives. 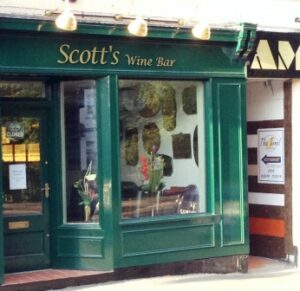 Getting ready for an English Wine Event at Scotts Wine Bar in Quorn this evening. I have to hand label some bottles before I go, and make sure I confine the chickens to their run, as Mr Fox might be prowling! . 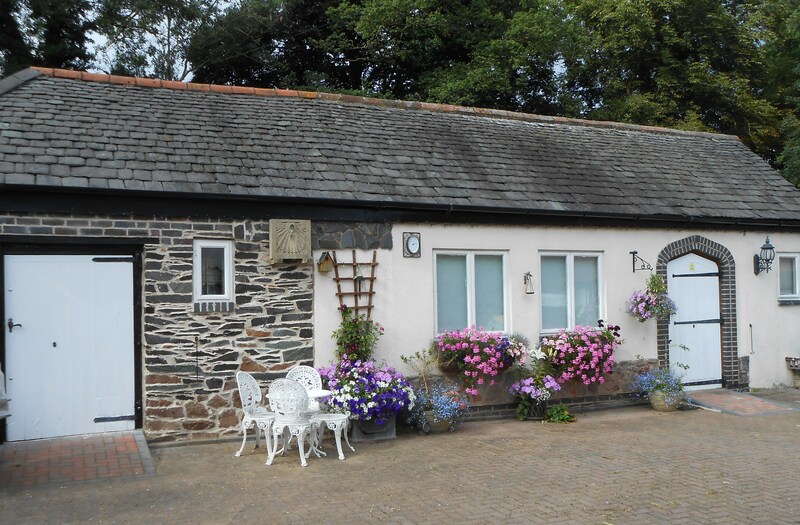 The atmosphere at Natterjacks is great, with lovely food and background music, but best of all were the customers whom I greatly enjoyed talking to. Incredibly nice people go to Natterjacks. Natterjacks were doing a “best of Leicester” event and we were in good company with Charnwood Ales and Burleigh Gin. The cherry trees (left) escaped the May frosts and their lovely white blossom has given way to dark red cherry buds. The Siegerrebe vines (right) were the first to swell their buds in spring and suffered some 40% loss of buds due to frost, but the remainder are bursting into life to reveal primitive bunches of grapes. The rest of the vineyard is slowly bursting into life, especially after the longed for rain of the last 24 hours. Our very first stand and opportunity to sell wine directly to the public. We had a very busy but enjoyable two days at the cheese fair in Melton Mowbray at the Bank Holiday weekend. We literally had throngs of people at the stand sampling our wines and asking questions. 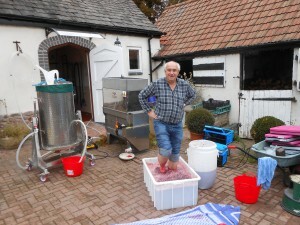 Many were astonished that there was a vineyard in Rothley! It was only at the end of the second day, when the public had gone, that had had a chance to sample and buy some of the local cheeses. Yumm! We can really recommend that any foodie should attend this cheese fair next year. 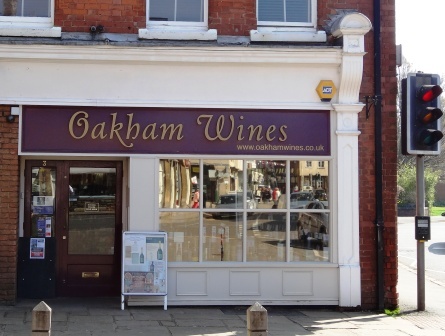 We paid our first visit to Oakham Wines, who took delivery of our Sparkling Orion, Solaris and Royal Richard wines. 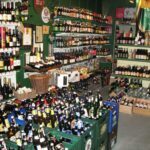 This specialist wine shop is an Alladin’s cave of wonderful drinks, cigars and nibbles. The owner/manager, Harish, is a great character and our lively conversation was interrupted by a customers popping in and out to browse and buy from the well stocked shelves. We then visited other small shops in Oakham and bought our lunch. We progressed to Rutland water for our picnic and a lovely walk. 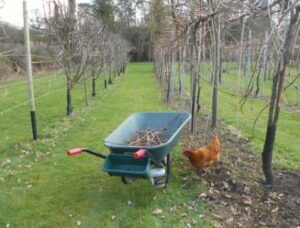 Then guilt set in as we realised we were shirking our pruning duties, so we reluctantly drove home – resolving to find a little more leisure time. It is Easter after all! Scotts of Quorn stocked “Royal Richard” for the first time, and it sold so quickly that we had to make a second delivery the following evening. This gave us a chance to sample some of their continental wines and absorb the lovely atmosphere of this small wine bar. Looking for an excuse to come again. Ginger the vineyard chicken sauntered along and gave us a hand with the winter pruning. Then a leisurely walk back to the coop in Chicken World. Which is best for Valentine’s Day? Sparkling Orion with its silver gilt colour and pear flavour livened with a delicate mousse. Perhaps still rosé Royal Richard with its light colour resembling the morganite gemstone, and a taste explosion at first sip? Or, mellow Solaris with golden colour and slow release of flavour? 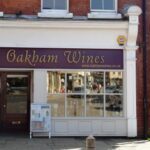 Our wines can be bought from local shops – see buy – and we can deliver to Rothley and local villages. 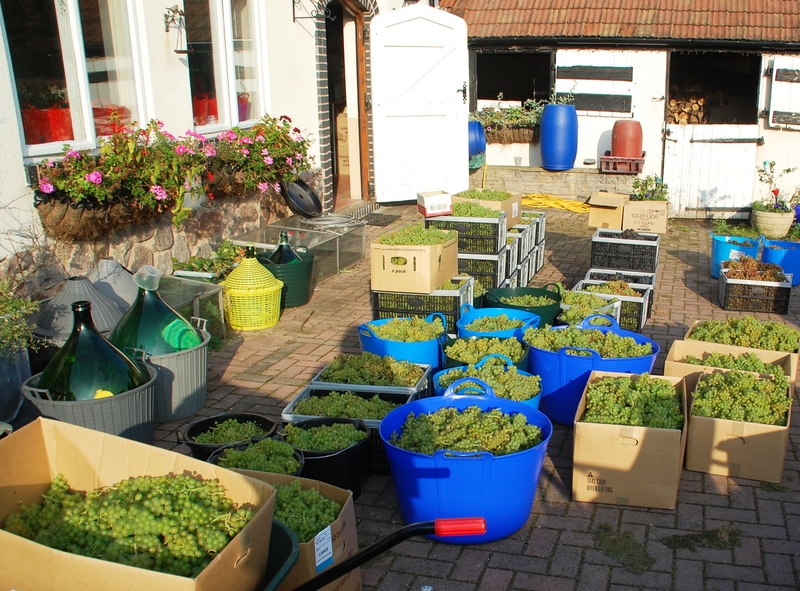 The grapes in the photo went to Halfpenny Green for vinification and making into English Sparkling wine using the traditional method. A preliminary tasting of this, our first, pink sparkling wine was a great occasion. The brut taste exceeded our expectations, and the delicate mousse tickled the tongue. Made from Orion and Regent grapes, we have high hopes for its success. The Halfpenny Green winemaking team are really pleased and we discussed which competitions to enter it for. 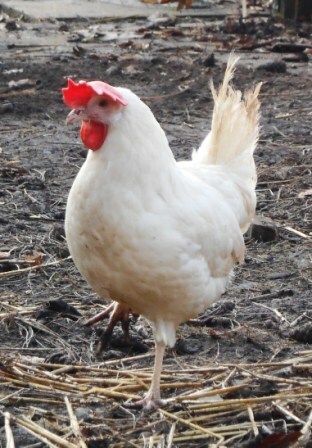 Snowdrop, the new hen settled in so well that she laid a lovely white egg on her second day here. Go to the Chickens page for more information. The long awaited Rothly Rosé wine has been labelled and is on sale at North’s delicatessen by the steam line railway station in Rothley. This time we used a local firm, Flexpress of Birstall, to design the label and the boar and coronet were drawn especially. Award winning off licence “The Offie” is selling the Rothley wine Solaris. 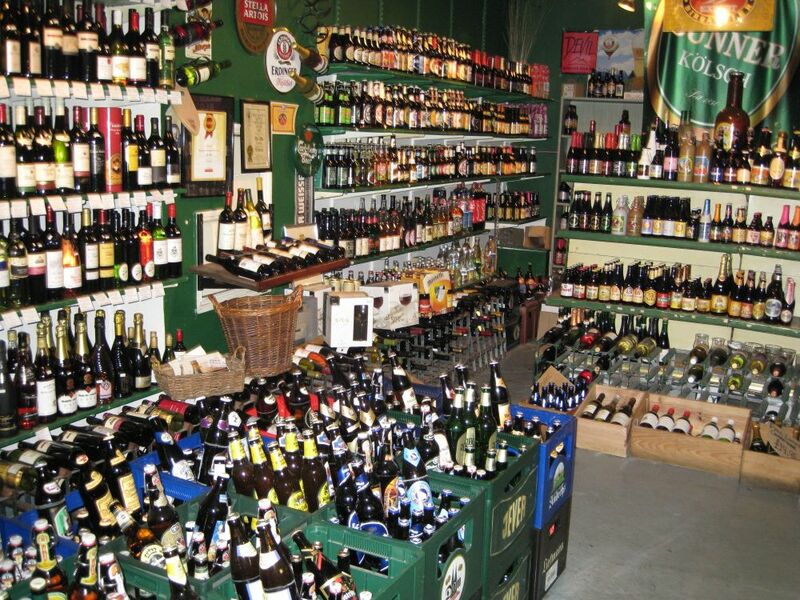 Visit this Aladdin’s cave of artisan and speciality beverages to see Solaris, which is especially nice with turkey! Last box of this small production run was taken to David North’s shop on 18th November. Sorry for any disappointment. The good news is that we have 100 litres from this year’s harvest fermenting away quietly in the winery. 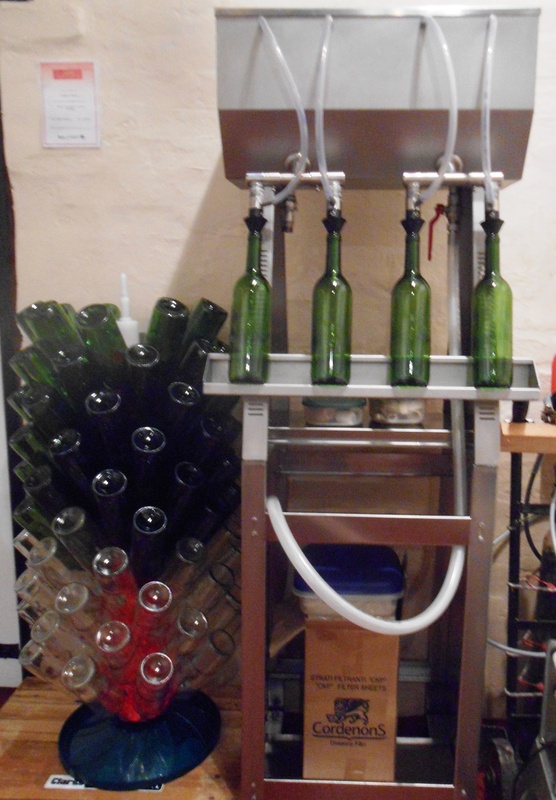 Our helper elves arrived again to help with bottling the rose, a blended wine of Siegerrebe for elegance and aroma, Solaris for body, and Rondo for a rich fruit flavour. 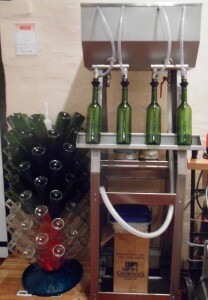 An efficient bottling line was soon established, and 175 bottles of Royal Richard are awaiting labelling following laboratory analysis and label approval from the FSA Wine Standards officer. The rose wine is named after Richard III who almost certainly passed through Rothley on his way from Nottingham Castle to Leicester, then onto the fateful day at Bosworth. 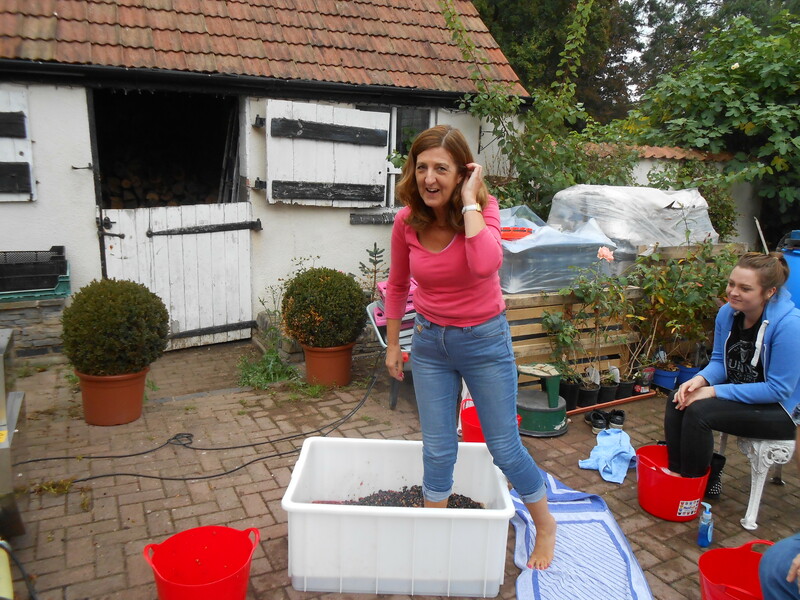 We took two harvests in September, with much merriment when the grapes were trodden in the traditional manner. 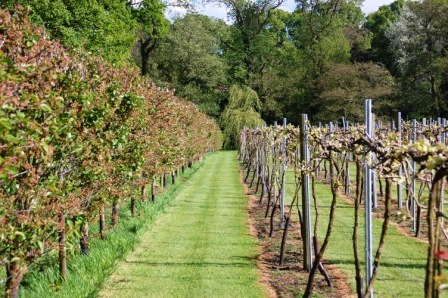 The harvest on 18th October was a colder day and the Orion and Regent departed to Halfpenny Green Vineyard to be made into a pink sparkling wine called “Spirit of Freedom” in honour of the abolition of the slave trade (see history section). Believe it or not, the volunteers are keen to harvest again next year! See this You Tube link https://www.youtube.com/embed/wSuH9u0kvhU?rel=0 for an eccentric bottle opener- apparently invented by a Cornishman. Ben Jackson from Radio Leicester came to Kingfishers’ Pool Vineyard in Rothley and was impressed with his taste of English wine. 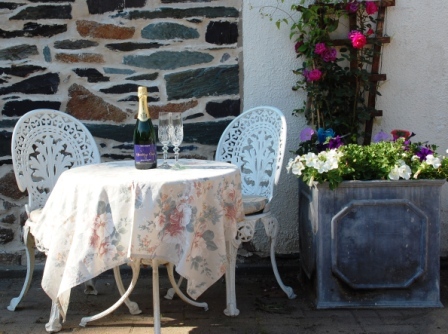 Click her for the 12 minute broadcast http://www.bbc.co.uk/programmes/p025z84b Ben thought the vineyard and winery courtyard look very French. What do you think?